In this post, we will discuss a very beautiful and native-like wheel select component. 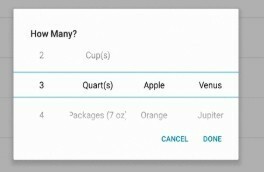 These type of select boxes looks very cool and generally found in native applications. To implement these we will add Cordova and Ionic native plugin then we need to define wheel selector options in a JSON object. 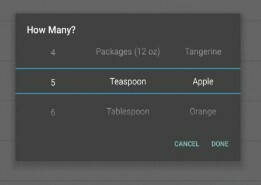 Let’s implement in Ionic 4 Application. Add JSON and event to show Wheel Select in Home Component. Here we are calling show method with items parameter set with values to show for Selection. When positiveButtonText is pressed then block is executed to return values selected. We can also set the theme attribute with values “dark” or “light“. See more option on Cordova plugin documentation here.